Welcome to UMW’s BSN Degree Completion Program, packed with thrilling and fulfilling course work! Development of the program has been supported by a grant from the Community Benefit Fund of the Mary Washington Hospital Foundation. Study and practice of writing as a several-stage process, development of an understanding of what is good writing and the ability to criticize constructively one’s own writing and the writing of others. Pre-requisite: RN License. Pre- or co-requisite: ENGL 306Q. This course provides the registered nurse with a foundation for understanding the expanded role of the professional baccalaureate nurse in the current health care delivery system. Explore concepts related to professionalism and the fundamental professional values of altruism, autonomy, human dignity, integrity, and social justice. Transformation of the individual and of the profession will be examined. Communication behavior to improve intra- and inter-professional collaboration will be analyzed. Pre or co-requisite: NURS 310. This course is designed to enhance the knowledge of the registered nurse by conducting a holistic assessment of health and illness parameters in an individual. The registered nurse will assess the following aspects of the individual: behavior, culture, development, environment, family, health literacy, physical, psychological, socioeconomic, and spiritual. The assessment of alternative/complementary health modalities by individuals will be included. The relationship of genetics and genomics to health risks will be examined. Prerequisite: MATH 200 and NURS 310. This course introduces the registered nurse to the research process and methods for critiquing research literature. The development of theoretical frameworks for research studies, quantitative and qualitative methodologies to accomplish goals, and the dissemination of research findings will be examined. The use of research in the delivery of evidenced-based practice to improve patient outcomes will be explored. The registered nurse will further explore a previously identified healthcare issue and engage in a systematic, formal process to identify scientific relationships which can lead to finding solutions to the identified issue or discover new nursing knowledge. Safeguarding patient rights will be explored. Pre-requisite: MATH 200 and NURS 310. This course examines population-focused nursing. Improving population health through health promotion, disease and injury prevention across the lifespan for individuals, families, groups, communities and populations will be explored. Fundamentals of epidemiology and biostatistics will be introduced. Primary, secondary and tertiary care will be differentiated. The national health initiative Healthy People 2020 will be utilized. The registered nurse will work in a group to perform an assessment and design a health promotion and/or disease and injury preventive program for an assigned community. 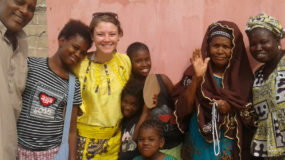 This course includes 23 hours of field work experience in the assigned community. Pre- or co-requisite: NURS 310. This course examines the current issues and trends in nursing and their effect on delivering quality and safe patient care. The registered nurse will consider current political, economic, and social issues and discuss their impact on health care. The registered nurse will examine an issue related to quality, safety, access, equity, affordability, or social justice in healthcare delivery and explore political activism aimed at eliminating health disparities for a vulnerable population. The identified issue will be further explored in NURS 410 Evidenced-Based Nursing Research and NURS 490 BSN Practicum. Prerequisite: NURS 310, 320, 410, 420, 430. This is a capstone course in which the registered nurse will enhance her/his knowledge and skills in leadership, quality improvement, and patient safety. The healthcare issue identified in NURS 430 Current Issues and Trends in Nursing, further developed in NURS 410 Evidenced-Based Nursing Research will be proposed to the practice setting. The registered nurse will develop individualized leadership objectives and present an evidence-based practice change to improve quality and/or patient safety. 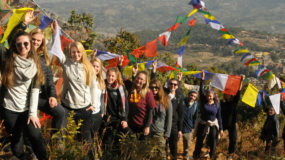 The course includes a seminar component and 45 hours of fieldwork experience with a nurse leader. Prerequisite: NURS 310, 320, 410, 430. This course explores the utilization of information management, patient care technologies, and communication technologies to deliver quality and safe patient care. Standardized computer information systems terminologies, regulatory reporting, decision support systems for evidence-based practice and health education, data analysis for quality improvement, electronic health records to improve patient outcomes, data security and confidentiality of patient information will be explored. The registered nurse will examine social technology and public information domains and their impact on quality and safe patient care. BSN Completion Program Students will take one three-credit course from an approved list. Examine the concept of professionalism, and beliefs that are fundamental to nursing, include the inherent values of altruism, autonomy, human dignity, integrity, and social justice. Create intra- and inter-professional partnerships, characterized by teamwork, collaboration, and communication to deliver high-quality, safe patient care. Evaluate healthcare policy, finance, and regulatory practices to influence the allocation of health resources to reduce health disparities. Utilize the nursing process when practicing caring, competent, holistic, and patient-centered nursing with diverse individuals, families, groups, communities, and populations, delivered in a variety of settings across the lifespan. Evaluate nursing research to determine best practices and translate current evidence into professional nursing practice. Formulate plans of care that promote health and prevent disease for individuals, families, groups, populations, and communities in complex situations. Synthesize a liberal arts education, knowledge of nursing science, and critical thinking skills to support independent and interdependent decision making in the practice of professional nursing. Demonstrate leadership knowledge, skills, and attitudes by promoting safe, high quality care with a focus on continued evaluation and improvement within a variety of health organizations and systems. Utilize information management knowledge and skills by employing technology and information systems to create safe patient care and enhanced decision-making in a variety of health organizations and systems.